This Bible History Daily feature was originally published in January 2012.—Ed. Amid the remains of a fourth- or fifth-century church at Hierapolis, one of the most significant Christian sites in Turkey, Francesco D’Andria found this first-century Roman tomb that he believes once held the remains of the apostle Philip. Photo: Archive of the Italian Archaeological Mission to Hierapolis. At about the same time as the July/August 2011 issue of Biblical Archaeology Review was hitting the newsstands, containing an article about St. Philip’s Martyrium,* author and excavation director Francesco D’Andria was making an exciting new discovery in the field at Hierapolis, one of the most significant sites in Christian Turkey. A month later he announced it: They had finally found the tomb of the martyred apostle Philip. The tomb wasn’t discovered at the center of the octagonal hilltop martyrium as long expected, however, but in a newly excavated church about 40 yards away. D’Andria’s team found a first-century Roman tomb located at the center of the new church, which he says originally contained Philip’s remains. This early church of Christian Turkey was built around the tomb in the fourth or fifth century, and the nearby martyrium was built around the same time, in the early fifth century. The remains of the apostle Philip are no longer in the tomb, however. According to D’Andria, the saint’s relics were very likely moved from Hierapolis to Constantinople at the end of the sixth century and then possibly taken to Rome and placed in the newly dedicated Church of St. Philip and St. John (now the Church of the Holy Apostles), although 12th-century reports describe seeing Philip’s remains still in Constantinople, the seat of Christian Turkey. This sixth-century bread stamp shows two churches from the site of Hierapolis in Christian Turkey: the domed martyrium on the right, and the newly-discovered church containing Philip’s tomb on the left. Photo: © Virginia Museum of Fine Arts, Richmond/The Adolph D. and Wilkins C. Williams Fund/Photo: Katherine Wetzel. This new discovery also sheds light on the wonderful imagery of the rare sixth-century bronze bread stamp from the Virginia Museum of Fine Arts that we published in our article about Philip’s Martyrium. The structures on either side of the saint can now be identified as the domed martyrium (on the right) and the new Byzantine basilical church containing the tomb of the apostle Philip (on the left), both of which were important Christian sites in Turkey. 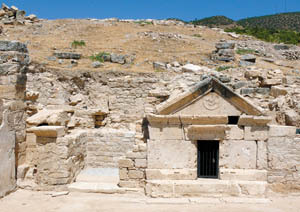 Based on Strata, “Philip’s Tomb Discovered—But Not Where Expected,” Biblical Archaeology Review, January/February 2012. A team led by excavation director Francesco D’Andria in Hierapolis also uncovered the remains of Pluto’s Gate, a site considered an entrance into the underworld in the Greco-Roman period. Read about it in Bible History Daily. 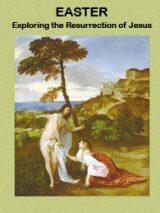 * Francesco D’Andria, “Conversion, Crucifixion and Celebration,” Biblical Archaeology Review, July/August 2011. What are you doing talking about “Christian Turkey”? In New Testament times, the Turks were still living in the region of Lake Baikal and the Altai Mountains. Before the Turkish conquest in the middle ages, the are was the East Roman or Byzantine Empire. After all, you guys are supposedly in the business of historical clarification, after all. No offense meant to the modern nation of Turkey. I, after all, also live in a settler state. It is very difficult to read comments based on what seems to be an arbitrary starting point that takes no account of migration, invasion or other historical events. 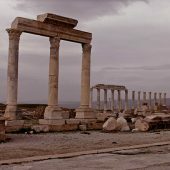 The rights and wrongs of Greek and Roman migration and conquests aren’t the point, but to fail to see that Christianity preceded Islam and the tribes that mainly followed conquest is unfair to the settled society that was destroyed by invasion. Right or wrong in terms of origin, the Byzantine experiment deserves some respect and not to be dismissed as invaders when the real invaders, like cuckoos, try to own the nest beyond their real tenure. Mike, “Christian Turkey” is a misleading anachronism, even suggestive of a nationalistic historical revisionism. In the 12th century, the Turks were a small Sultanate that was yet pushed back into the eastern section of what is modern Turkey. Constantinople was far from the Turkish lands. It was the seat of the Roman Empire. The Empire’s people were not Turkish, but rather Romans, a people who at that time were mostly Greeks but also included minorities of other Eastern European and Near Eastern peoples. 1. Constantinople was once Christian and once the seat of Christian Turkey. The article does not err. 2. The drawing of the building on the coin does not match the building in the photograph. By the way, there is no “christian Turkey”. One could say “christian Asia Minor, nowadays Turkey”, “Eastern Roman Empire”, or “hellenized Asia Minor, nowadays Turkey”. Turkey has done its best to root out Christianity from one of its historic cradles, namely Asia Minor! Genesis 4:20 Jabal was the 6th generation from Cain and that is where men began living in tents and establishing herds of livestock. There is a lot of years between Adam and the Deluge of Noah. So much time even Josephus recorded Seth and Enoch built pillars per the revelations from God of the destruction of the world with water and fire so they built 3 pyramids of brick in a land before it was known as Egypt and with pictures they left the testimony of God coming coming as a man and dying and resurrecting for the salvation of man. A mans heart will be weighed against a feather to determine cleaness of hands and a pure heart. 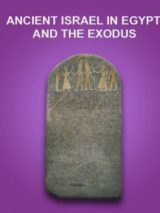 Noahs decendant Egypt took the glory of God and changed it that he as a man would become a god just as the antichrist will or is doing. The stone pillars are the Mayan pyramids exactly opposite of the 3(Trinity) pyramids of Giza, being surrounded with the largest snakes in existence as a witness of who caused mans downfall and this explains the beings ( fallen angels) coming to earth from heaven inscribed in these pyramids of stone. they are opposite as scorpio is opposite of Orion in the heavenly sky. The spynx tells where to begin the Mazzaroth ( mentioned in Job), or Zodiac and the end. The head and breast of the woman is Virgo the virgin Mary and the star Coma is actually Jesus, sad it was perverted to mean hair, and it ends with Leo the Lion of the tribe of Judah. This is also the same time of the Hebrew months as when God established their time beginning in spring after the Exodus. So here you have the pillars made of brick ( Notice the statues of the giants along with the men in the cities) in Egypt and directly opposite the earth is the pillars of stone of the bad in the Mayan and Aztec land that is of the fallen angels.What do you do when you have about 1000 years to live without the comforts of the modern times and we people are natural builders and your the 1st people on earth walking with God? Build pillars and inscribe them of Him and glorify Him and His word will stand forever. KOOL!!!!! I hate to see BAR pass along a mistake, but the Philip that was historically associated with Hierapolis was NOT Philip the Apostle, but Philip the Evangelist, mentioned in Acts several times. Mixing the two up was an error in the past and seems to continue to this day. The most ancient texts about the death of Philip in Hierapolis make it clear it was the Philip from Acts 21. See Eusebius Ecc Hist 3.31.5 for the details. Of course, this is not absolute proof it was not the Apostle Philip who died there. Maybe all the stories are wrong. But it seems clear that the earliest traditions place the Philip with four daughters at Hierapolis and have simply been mistaken when they identified him as the Apostle, not the Deacon/Evangelist mentioned repeatedly in Acts.